We are a multinational technology startup founded in 2010 and are a growing software service provider. Our principal office is located in Cairo, Egypt. We provide a board range of software solutions to different business sectors. To be the leading online solutions provider in the region and to combine our successful track-record and expertise with the latest technologies to offer market leading digital products and services. If you have a minimum of 2+ year business-to-business (B2B) sales experience, like networking, love sales, and are quick to learn then this may be the career for you! We are a fast growing, dynamic company in need of an Honest, Highly Motivated and High Energy sales and business development individual. As a salesperson you will contact potential clients for new sales, present the products and services, and most importantly...close the sale! In addition, it will also be necessary to think strategically and aid in the business development. 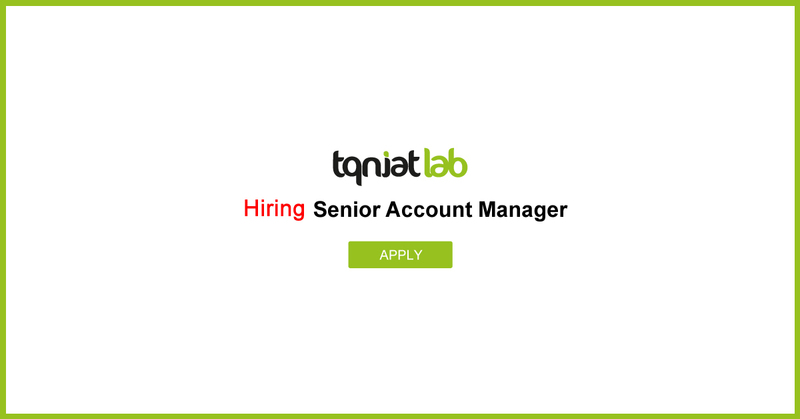 You will work with and report directly to the President of Tqniat Lab with regards to market development. Practices effective sales efforts resulting in a steady increase of new business. Wins profitable new accounts that are professional, courteous and long-term. Actively listens and seeks to understand clients’ needs and then convinces them the agency can meet those needs. Treats prospects with respect and instills a confidence in our abilities and service. Keeps timely contact with prospects through regular emails, mailings, phone calls, and appointments. Web design, SEO, Internet marketing sales experience required. A qualified candidate will have experience talking with clients and explaining these services. We offer competitive compensation of a base salary + commission. Base salary is decided based on your experience and commission is based on your performance and sky's the limit.